We love chutney so I decided to mix things up a bit (this is our usual) – I found this tasty goodness in Marisa McClellan’s book, ‘Naturally Sweet Food in Jars’. Feel free to process your jars, but this is a small batch so I have a container in the fridge and now one in the freezer for whenever we have a craving – enjoy! 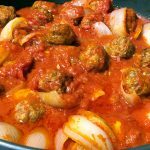 Combine all of your ingredients in a large, low and wide, non-reactive pot or skillet and stir well. 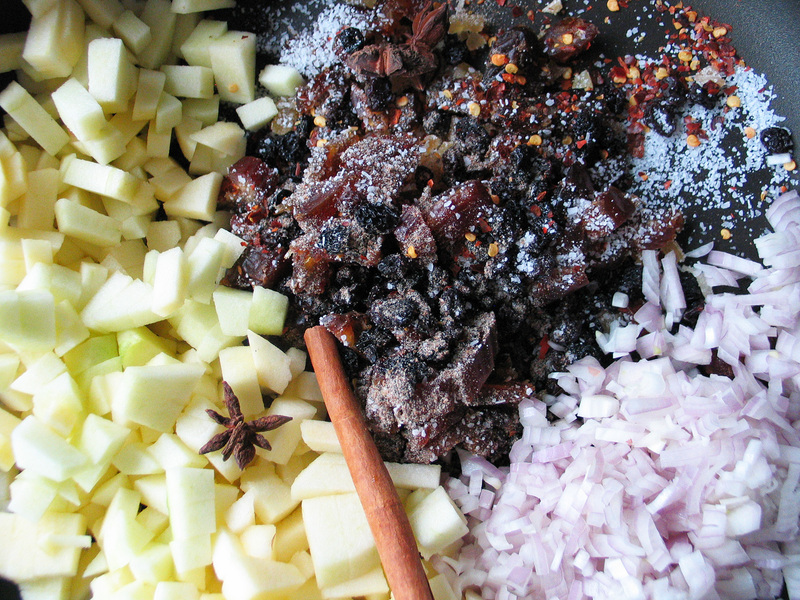 Bring the mix to a boil over medium-high heat, then lower the heat to medium to cook, stirring regularly, for about 45 minutes until the chutney no longer looks watery and the apples can be mashed with the back of a spoon. I was using very crisp apples so I had to splash in a bit of apple juice to keep it all from drying out before the apples were tender enough. When the chutney is nice and thick and your apples are done, remove the pan from the heat, remove the 2 star anise and the cinnamon stick and then either process in jars as you would, or store in covered containers in the fridge or freezer. This is excellent with pork, chicken, and any kind of sausage…but I think our favorite use so far is with some sharp cheese on a cracker!